Despite the fact that echidnas are regarded as nocturnal, they have often been seen along the walking trails in The Pines in broad daylight. The echidna and platypus are monotremes (mammals that lay eggs) and are only found in Australia and New Guinea. When under attack, an echidna will burrow into the ground or curl itself into a ball using its spines as a method of defense. They have long sharp claws on their feet for digging. Echidnas grow to approximately 35-50 cm long – with an average weight between 2 to 7 kilograms. They can live up to 50 years old. Their nose is very sensitive and they use this to find food. They then use their long sticky tongue to catch ants, worms and other such insects. 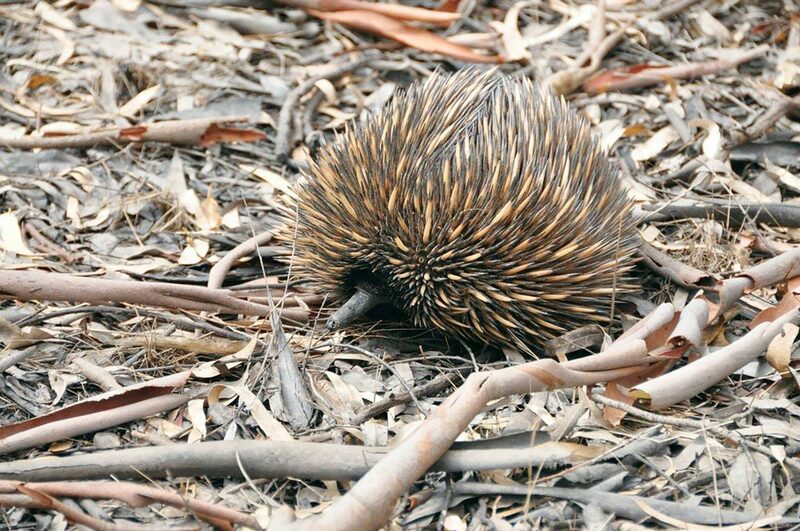 You may notice many instances of echidna diggings along the walking trails. Their diggings are easily identifiable because of the conical hole made by their long pointy nose.